Former CIO and CDO replaced by Ingo Bohlken. 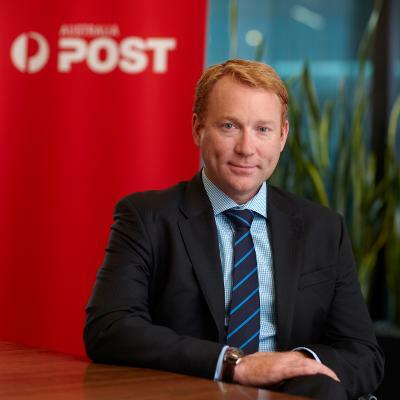 Australia Post has confirmed that Andrew Walduck will leave the organisation in early July after more than six years in various technology and digital roles. On June 6, The Australian reported that Walduck, who was executive GM or trusted e-commerce services and chief digital officer, was being replaced by German national, Ingo Bohlken. The former Deutsche Post exec is the new head of products and innovation following management changes made under new CEO, Christine Holgate. Walduck had been acting EGM, product and innovation. Walduck joined Australia Post in 2012 as executive general manager and chief information officer. Last August, he became CDO, which was the first appointment of its kind at the organisation. At the time, Australia Post said Walduck would be responsible for growing new digital platform businesses while strengthening existing delivery and retail services that power ecommerce. Walduck's career spans more than 25 years in business transformation, digitisation, technology and marketing, and includes transformation roles in global corporations such Accenture, where he was partner in the communications and high-tech practice, prior roles at IBM, as well as marketing leadership roles in small growing businesses. In an internal letter to Australia Post staff, Walduck said he had made the "difficult decision to leave Australia Post." "It's been an honour to be part of this great organisation and to lead such wonderful teams. My enthusiasm and passion for Australia Post remains, it's a brand that I love and will continue to champion," Walduck said.